Happy 2019 from the Corruption in Fragile States Blog! As we look back over the past year, we realize just how much has happened on the blog. In addition to a new web home with the Henry J. Leir Institute at The Fletcher School, new team members, and a substantial increase in subscribers, we have also added 9 posts, with 4 from guest bloggers, bringing our total posts to 65. Check out our thematically organised complete list of posts. 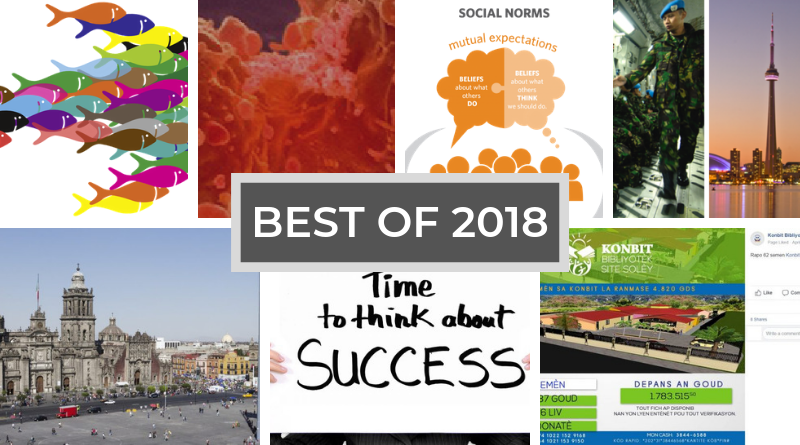 As we reflect on the year and how to improve (feedback always welcome), we wanted to share with you the most popular posts of 2018. We considered this from two perspectives – most readers and most time spent reading. While neither metric is an exact computation, here are our top five posts in each category. 1. The elementary problem that undermines social change programming: A word of warning to anti-corruption practitioners This post explains what trips up most practitioners when they want to program around social norms. Written by Cheyanne Scharbatke-Church and Hope Schaitkin, it focuses on the particular confusion between social norms, attitudes and behaviors. 2. When your project’s success gets a “so what?” in response Written by Cheyanne Scharbatke-Church, this post reflects on the difficulty of framing success for an anti-corruption project when sector-specific outcomes are the priority. Based on an exchange with a rule of law donor, this post reflects on why a decrease in corruption was effectively dismissed as a valuable result. 3. Why we need to kill the ‘corruption is cancer’ analogy Guest contributor Professor Paul Heywood offers three stinging critiques on why we need to stop using the well-worn corruption is cancer analogy. It will make you think twice before using a medical analogy to corruption again. 4. When not to call a spade a spade: The importance of quiet anti-corruption initiatives This example from a library construction community development project in Haiti, argues that an indirect approach to anti-corruption may sometimes be more effective, not to mention safer. Written by guest contributors Sabina and Louino Robillard, they tell of their experience using an innovative but quiet approach to engage with corruption dynamics. 5. Corruption that kills: How corruption is undermining peace and democracy in Mexico In this post, written shortly before Mexico’s recent election, Talia Hagerty and Carlos Juárez of the Institute for Economics and Peace explain why corruption is testing peace and democracy. 2. Why we need to connect peacebuilding and illicit financial flows: A global approach for a global problem. This post makes a strong case for organizations working in peacebuilding and illicit financial flows to step out of their silos and recognise how the two fields are related. The post’s author is someone who bridges both fields: James Cohen, currently Director of Programmes and Engagement at Transparency International Canada. 3. 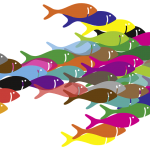 When your project’s success gets a “so what?” in response Written by Cheyanne Scharbatke-Church, this post reflects on the difficulty of framing success for an anti-corruption project when sector-specific outcomes are the priority. Based on an exchange with a rule of law donor, this post reflects on why a decrease in corruption was effectively dismissed as a valuable result. 4. Why we need to kill the ‘corruption is cancer’ analogy Guest contributor Professor Paul Heywood offers three stinging critiques on why we need to stop using the well-worn corruption is cancer analogy. It will make you think twice before using a medical analogy to corruption again. 5. What worked: Fighting corruption through collective action This post summarized the key insights from the Final Review of Kuleta Haki, an anti-corruption program in the DRC based on a collective action strategy. Synthesized by Kiely Barnard-Webster, the post explains what the Final Review found to be effective in the strategy, and helpfully links to other posts describing the theory of change in detail along with the monitoring methodology and original corruption analysis. For 2019 we will do our best to continue to challenge the status quo, offer new approaches, spur discussion and reflect critically and transparently about our work in this field. Join our mailing list to be kept up to date on new material and be in touch if you would like to be a guest blogger. 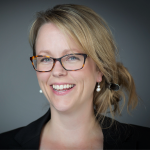 Cheyanne Scharbatke-Church is Principal at Besa: Catalyzing Strategic Change, a social enterprise committed to catalysing significant change on strategic issues in places experiencing conflict and structural or overt physical violence. She has significant experience working on anti-corruption and state legitimacy in the DRC and Uganda. As a Professor of Practice, she teaches and consults on program design, monitoring, evaluation and learning. Cheyanne is also the Corruption in Fragile States blog series editor.